Who Wins As Activision Blizzard and Bungie Split Up? In the video game space, Activision Blizzard (NASDAQ: ATVI) is a powerhouse with numerous blockbuster titles. But not every deal it seals is a winner: Last week, it announced that it was transferring the rights to the Destiny video game franchise back to its creator, Bungie, and that the two companies will end their 10-year partnership agreement early. In this segment of the Motley Fool Money podcast, host Chris Hill and senior analysts Andy Cross, Aaron Bush, and Ron Gross talk about how the two companies got to this point, what conditions are like in the video game industry, and more. This video was recorded on Jan. 11, 2019. 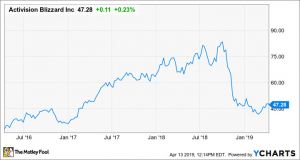 Chris Hill: Shares of Activision Blizzard down 10% on Friday after the video game maker and it will be transferring the publishing rights of one of its franchise games to Bungie, the studio that produced it. Aaron, help me out here. Aaron Bush: This is meaningful and not great for Activision. Let me first back up a little bit and add some context. Eight or so years ago, Bungie was thrilled to stop working with Microsoft. They're behind Halo. Their games were huge. But, they were disgruntled working for a larger organization that put pressures on them and they wanted to move on. And when they did, Microsoft kept the rights to Halo. Bungie announced a new 10-year partnership with Activision. The deal was that they'd launch four Destiny games with expansions. But, as soon as they started operating, it was pretty much a struggle right out of the gate. If we fast-forward all these years through today, Bungie has now made two Destiny games with expansions. There have been more issues and negative reactions than I think Activision wanted. A lot of the narrative going on right now is that Activision is being too oppressive in its expectations. 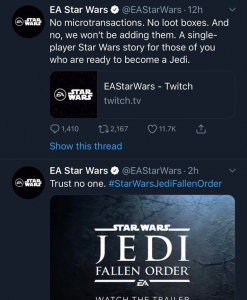 You see similar concerns thrown around with Electronic Arts and all these other big publisher, that they're putting pressure, making people disgruntled. I think that we're seeing that with the Blizzard side of Activision, too, in some ways. Recent executive changes there connected this, as well. That's not awesome. But, I don't think that they're the only ones totally to blame there. I think they need to be careful on how this plays out, but it's not 100% their fault. Whatever the case, the end result is that Bungie is paying Activision to cut their contract early and take the rights to Destiny. It was pretty predictable that Bungie would move on. What I didn't see happening was that they'd also take the rights to Destiny. That leaves a decent-sized hole in Activision's portfolio of games. We don't know exactly the financial terms on that. It'll take time for Activision to fill that void, but I do think that they will. They'll just reinvest in making new franchises. Ron Gross: I just need to know, are you a gamer, Aaron? Is that a thing that you do? Andy Cross: Be proud of that! Gross: I was just curious! Bush: I've been following this stuff for a long time. It's super interesting. I have played Destiny. It wasn't that great. And here we are. They have improved, but it's showing now. Hill: -- as you said, it's great enough meaningful in terms of revenue for Activision Blizzard. This is not the only split that Activision Blizzard has had in the last six months in terms of talent. When we think about brain drain, a lot of times, it's in Silicon Valley and it's an executive leaving Alphabet to go to Facebook or vice versa. But it seems like Activision Blizzard really has a creative problem on their hands right now. Bush: I think some of that is overrated. There's always talent leaving different studios to go elsewhere. But, when I start to see it at the executive level, even their CFO recently left, maybe to go to Netflix even. I think it was Netflix. Bush: That's when I start to think that there are bigger moving pieces that are problematic and need to be solved. Suzanne Frey, an executive at Alphabet, is a member of The Motley Fool's board of directors. Teresa Kersten, an employee of LinkedIn, a Microsoft subsidiary, is a member of The Motley Fool's board of directors. Aaron Bush owns shares of Activision Blizzard, Alphabet (C shares), Electronic Arts, Facebook, and Netflix. Andy Cross owns shares of Facebook and Netflix. Chris Hill has no position in any of the stocks mentioned. Ron Gross owns shares of Activision Blizzard, Alphabet (C shares), Facebook, and Microsoft. The Motley Fool owns shares of and recommends Activision Blizzard, Alphabet (A shares), Alphabet (C shares), Facebook, and Netflix. The Motley Fool owns shares of Microsoft. The Motley Fool recommends Electronic Arts. The Motley Fool has a disclosure policy.